Few days before wedding? .Give your skin a break from cosmetics! 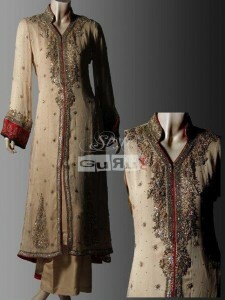 Style guru is a famous brand in Pakistan. 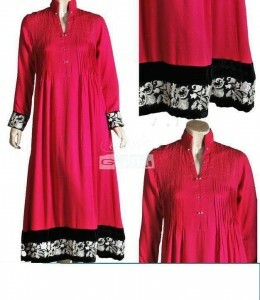 It is also an online boutique and they deals with stylish and brands made attires. Our skin is very sensitive. Just like the whole body, it also needs some rest, a little of pampering and lots of space to breath in. When you are going to wed in few days then you need to be very conscious about skin and the best way to avoid unnecessary skin problems is to stop experimenting with cosmetics. Don’t try each and every cosmetic to look good since lots of cosmetic application can worsen the situation instead of making it better. Here are some few good practices you should adopt days before your wedding. Don’t apply lots of cosmetics on your skin. Give it a space and give it chance to breathe. Always cleanse and scarp your skin before going to sleep. Avoid much of scarping since it can also thicken your skin which can cause it skin redness and increase sensitivity. Once it’s completely cleansed, it will definitely look fresh and healthy. Instead of using cosmetics, moisturize your skin, it will not only bring a glow on your face but it will also improve the improper sector of your skin. Moisturizing can be done with any well reputed moisturizer having minerals, sun block and some good natural entities to fulfill all of your skin’s need. Once your skin is moisturized well, it will have glow, defined good tone and improved complexion. 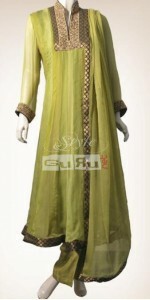 In Pakistani weddings we see the Ubtan custom in which the bride experiences the application of Ubtan. This mixture really works. Ubtan with haldi and few drops of rose water can be the best toner for your skin. Avoid excess of medicated injurious cosmetics and rely on nature’s gift which is Ubtan for sure. Apply it and you will see the golden glow on your face which you will surely enjoy. You can spray rose water for instant and natural skin refreshment therapy. It’s the best natural cosmetic ever. Not days before your wedding but in general have rose tonic as your toner and you will see new delicate skin with ravishing fragrance. At 10th Annual Lux Style Awards 2011 Reema Khan performed with fashion designer HSY at “Love Mein Gum”, the title song of her latest film. The dance performance was most energetic and frolic one during the show that made the festive night more celebratory and fun filled. Reema Khan Dance Performance at Lux Style Awards 2011 became more special when many Pakistani fashion models and fashion designers tapped their feet at beats of “Love Mein Gum”. Pakistani celebrities accompanying Reema Khan and HSY during dance at Lux Style Awards 2011 include Ayaan, Aaminah Haq, Ammar Belal, Ayaz Anis, Kamiar Rokni, and Nooray Bhatti. The reality star girl Kim Kardashian launched her Belle Noel collection last month, on the other hand Alexis Bittar who is well known as the jewelry designer, he claims that the items of the jewelry collection of Kim are look very similar to his items. Kim has been accused of copying jewelry designs for her own collection, pictured here today in New York. Alexis Bittar told to the New York Post, claiming the designs of Belle Noel which are sold in the Kardashianowned Dash stores, are a rip-off. He said of the Kardashians that ‘They are not designers and they are just stealing. Everyone was busy at the Backstage of Lux Style Awards 2011 to make the award night more charismatic and jovial. All Pakistani fashion designers were working hard with their latest collection and fashion models were being adorned by the makeup artists and stylists. Pakistani photographers were on their duty to capture each moment with their camera eyes. Thus, there was no one who did’nt added in the 10th Lux Style Awards 2011 Backstage activities that resulted in an unending pleasing night. LONDON – It is probably the most famous engagement ring in the world. So it didn’t take long for a few people to notice that the Duchess of Cambridge’s ever-present sapphire and diamond sparkler had mysteriously vanished this weekend. Catherine, who was with her husband, Prince William, for the opening of a new cancer centre, was wearing the £250,000 Garrard ring, once owned by Princess Diana. It was a distinctive shock of colour against her oatmeal-coloured Amanda Wakeley dress. But one inside the hospital, the only jewellery remaining on her left hand was her plain gold wedding band. Of course, there was a simple explanation for the missing ring. Rather than misplacing it, or making some ill-timed statement about the state of her marriage, the Duchess had simply stowed it in her LK Bennett clutch bag for hygiene reasons on the advice of hospital staff. A palace source told People magazine: “The plan was always to take it off when she went into the ward in the same way the Duke and palace staff rolled up sleeves and tucked ties into their shirts.” They revealed that William’s jacket and Catherine’s clutch were left in the care of hospital staff while they were given a behind-the-scenes tour of the Oak Centre. They followed strict hospital protocol by rubbing antiseptic gel onto their hands. The Duchess also wore a small diamond-studded silver cross on a chain and diamond earrings by Kiki McDonough, which she was not required to remove.